Problem: Create a website for a large company. 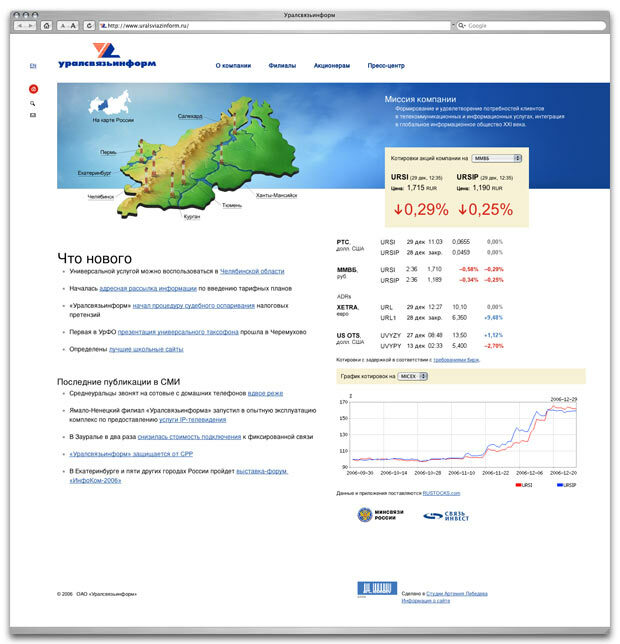 Uralsvyazinform is the leading telecom service provider in the Urals. The site provides well organized information on its services, stock, corporate history and events, and tells about Uralsvyazinform branches in the region.